Introducing Melissa, from Fehr Trade! ← Selvage Designs and Deer & Doe | New To Me! One of our exciting new sponsors this year is Fehr Trade. 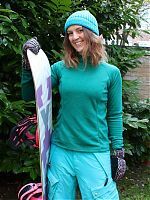 Fehr Trade patterns are focussed on workout wear – running, walking, horse riding, biking, snow boarding, surfing – whichever sport is your favourite, there’s a pattern you can use to have me-made garments. (Exciting!). Kat caught up with Melissa to find out more…. Hi Melissa! First up, tell us all a bit about your designs. How would you describe your style/aesthetic? My general design aesthetic tends towards clean, modern lines, with a strong emphasis on 360-degree interest and lots of asymmetry! Since my own patterns are designed specifically for activewear, I also primarily think about how they will move, look, and feel while in motion, and not just when view straight-on from the front or back! I’ve always been a sucker for bad puns, and when I started my sewing site nearly 10 years ago, I thought that a riff on my surname (Fehr, pronounced like “fair”) and the growing movement of ethical manufacture was a fun idea. When I expanded my site to create my first sewing patterns back in 2013, it made sense to keep the same name as I already had a lot of fans and followers who knew my sewing and my story into health and fitness. We’d love to know the story behind your business. What inspired you to create and sell patterns? How did it all start? 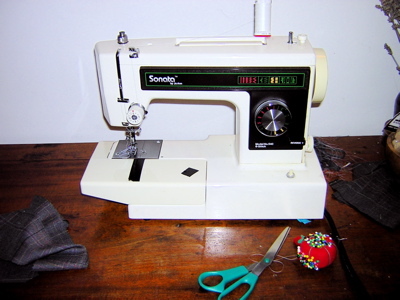 Like a lot of patternmakers, I started my business because of opportunity, and a hole in the market. 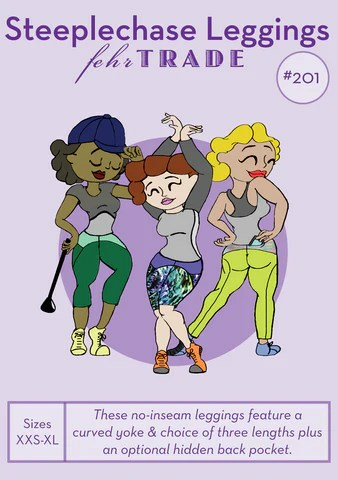 I started running and sewing about 13 years ago, and after a while I realised that the activewear patterns on the market were pretty basic in terms of style and design. I was spending more and more of my time chopping up existing patterns to make them more stylish and suitable for actual exercise than I was in sewing them, and when I was made redundant from my tech job, the timing seemed right to share my activewear designs with the wider world. And looking forwards, where would you like your business to be in five years time? I find it really hard to make plans so far in advance – I prefer to think ahead over the next year, plan out my releases, and think about what I want to achieve. It’s much easier for me to bring shorter-term goals into reality than get attached to long term plans which then require change when life dictates. But for the next year, I’d like to continue releasing more activewear designs, expend my menswear range, and I’d really like to expand my range of textile designs and do more collaborative work with designers like Laurie King and Lauren Cox. Where do you do all your work? My husband and I live on a Dutch barge, moored by Tower Bridge on the Thames in London. 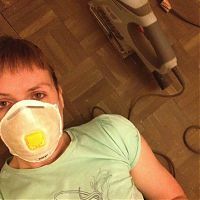 It used to be a hotel that slept 26 before we bought it 8 years ago, and we’re slowly renovating it into a proper home for us. I’ve been sewing in a temporary room no bigger than most American closets for the past 8 years, but we’re just finishing building my permanent sewing room, and I couldn’t be happier! It’s even hidden behind a bookcase door at the end of the corridor, so it’s a real superhero hideout! My favourite part is at the very beginning, when I first get to apply my design ideas into the most basic muslins. I usually use quite garish and shiny lycras as my “muslin”, and I tend to draw revisions all over myself in markers while I’m wearing them, so I can look quite funny! But it’s this initial rush of creativity, fast moving design changes, and on-the-road testing that I absolutely love. I often find small issues while I’m out running in my samples, too, which can mean further changes when I’m back in my sewing room. I don’t know about my favourite, as my “favourite” is inevitably my latest one, but the one I’m most proud of is my Threshold Shorts pattern. 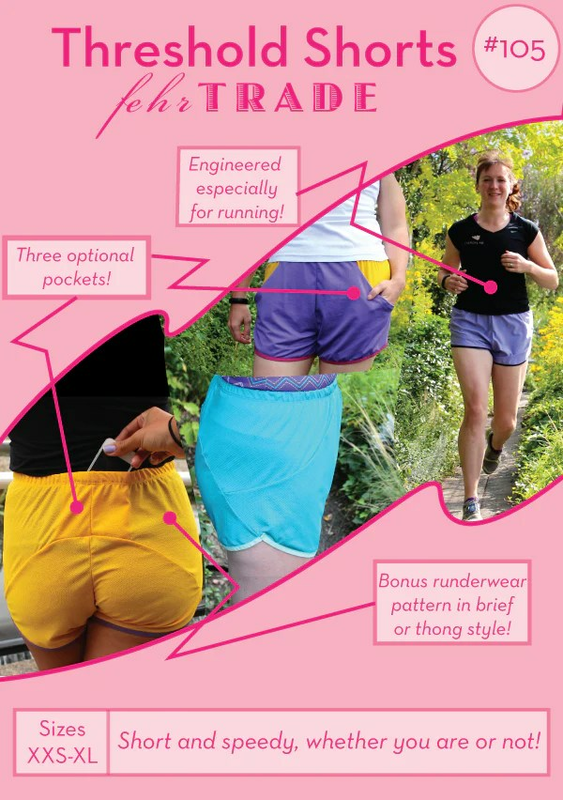 These were by far the most technically challenging to get right, took the most time and number of revisions to get right, and the final result is a running short that performs as well as any major sportswear brand, but looks even better. In some ways I think there’s a clear, linear design progression from my VNA Top pattern into my Threshold Shorts, and again into my Steeplechase Leggings. All three feature curving seamlines throughout the side and hips, and as a result, look fantastic when paired together – like they’re from the same collection. Who or what inspires you, either with your designs or with your business? I get a lot of design ideas from seeing what other people are wearing – 99% of the time I’m bored to tears with the sportswear offerings in the shops (if I see any more black & pink I’m going to cry! ), but I’m always on the lookout for a little feature or print that I might incorporate months down the line. I love checking out what other people are wearing while I’m inside a race pen waiting for the starting gun, and I love talking to people who are enthusiastic about sports I’m not familiar with. I recently learned a lot about the needs of rock climbers and equestrians, for example – two sports I’ve never really done myself. Thanks so much for talking to us Melissa, and for sponsoring Indie Pattern Month! 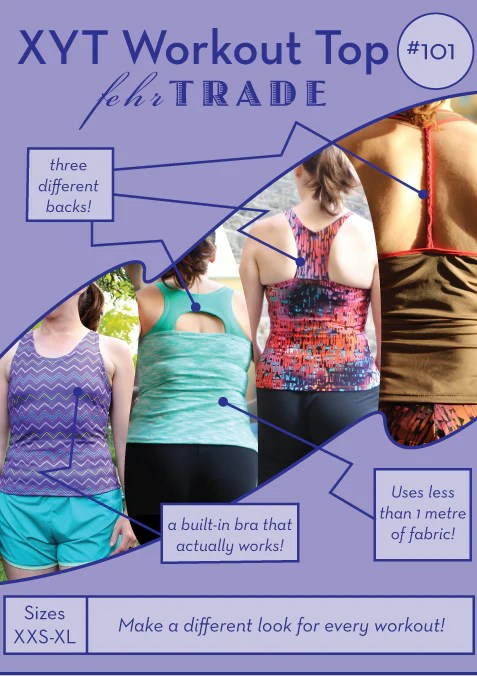 How about you – have you ever made your own workout gear? Do you think you will in the future? I love fehrtrade! Her patterns are great and Melissa herself is so inspiring. I’m currently using her PBJam legging pattern to make tights in white as its nearly impossible to find whites in the sports stores. Rosemary, have a look thru Melissa’s blog as there is a page with an extensive, international list of fabric resources! Aww, thanks so much Laura! Now that you mention it, you’re right – I never see white activewear in stores either! I wonder if it’s a laundry thing? I love your story and your pattern styles! I’ve made swimsuits, riding clothes, fun glittery stuff to wear in Zumba class, and lots of beautiful things for Argentine tango (my obsession), although those are not specifically workout-wear. 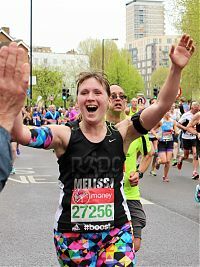 I recently started running (a little, but I’m building up), and have discovered a definite hole in my wardrobe– looking forward to trying your patterns! P.S. Since I also just started making my own bras, I’m excited to try sports bras. I’m 36DD, so it’s not the easiest thing to find a sports bra that is as supportive as I would like, although the offerings seem to be getting better. I’m intrigued by your styles with built-in bras. Thanks, Melissa, I’m going to read your post right now! And I wish I was going to Argentina with you! Good luck with your competition— is that something athletic? I am soo excited to try some of her patterns and would love sports wear to be one of our challenges. Does anyone have any suggestions though where to get appropriate fabric?